Create amazing media stacking transitions using TransCard from Pixel Film Studios. This collection of incredible transitions was designed exclusively for Final Cut Pro X. Enjoy a variety of animations and stylization options that are incredibly easy-to-use with TransCard’s package of beautiful framing transitions. TransCard allows users to select between two types of animations: Rotate and Fly. The flying presets smoothly position new scenes into frame while the rotating presets are similar, but with an added spin. There are intro and outro presets included for each type of animation. To start, drag a desired TransCard preset into the FCPX timeline and drop between two clips. Every preset includes a control rig in the Inspector window. The direction of animation can be controlled by using the drop-down menu titled Direction. Each preset contains 4 directional animations pertaining to the overall type of animation. TransCard offers a control set-up that requires minimal effort. Users are given controls for altering brightness, prism, blur, and depth. Each of these parameters can be altered easily by moving their respective sliders to meet a desired look. Pixel Film Studios makes editing easy in Final Cut Pro X. Each animation type includes presets broken up into three more categories: Standard, 1 Drop Zone, and 2 Drop Zones. The standard type is a simple A to B transition while the drop zone presets allow users to insert additional media into middle slides. This allows users to create quick stacking effects in Final Cut Pro X.
I installed TransCard and see a red screen similar to this. Where do I find TransCard? 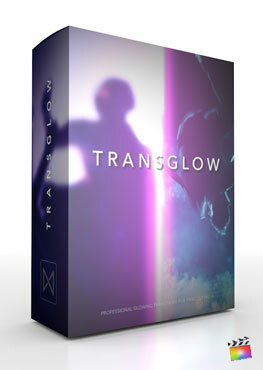 Once the installation is complete, you can find TransCard in the FCPX Transitions library. Where is the tutorial for TransCard?